SMOK Rolo Badge pods are replacement pods for the SMOK Rolo Badge only. To refill your Rolo Badge pods, turn the pod upside down and remove one of the stoppers from the base of the pod. Fill with your vape juice of choice (nicotine salts work particularly well), then firmly replace the stopper and pop the pod into your device. Leave the kit to stand for 2-3 minutes, then you're ready to vape! SMOK Rolo Badge pods come in packs of 3. The SMOK Rolo Badge is a beautifully designed refillable pod mod that’s perfect for stealthy vaping on the go. Shaped like an emblem, the Rolo Badge has been designed to fit perfectly in the hand, and standing at just under 3 inches tall, is just the right size to fit in your pocket or purse. The SMOK Rolo Badge has a built-in 250mAh battery with a range of integrated safety features, including an 8-second cut-off time, low voltage protection and short circuit protection. To charge your Rolo Badge, use the USB cable included in the box to connect your kit to your computer’s USB port. The SMOK Rolo Badge uses refillable 2ml pods, which you can fill up with your vape juice of choice, though nicotine salt juice works especially well thanks to the smoothness of the draw! To refill a Rolo Badge pod, remove one of the stoppers from the base of the pod and fill with your chosen juice. Leave the pod to stand for 2-3 minutes to let the juice saturate the wick, then pop the pod back into your Rolo Badge and inhale on the mouthpiece to activate it! The Rolo Badge has no buttons and no settings: it turns on the moment you draw on the mouthpiece. If you’re looking for a low-key refillable pod kit that’s perfect for keeping you vaping throughout the day, try out the SMOK Rolo Badge. 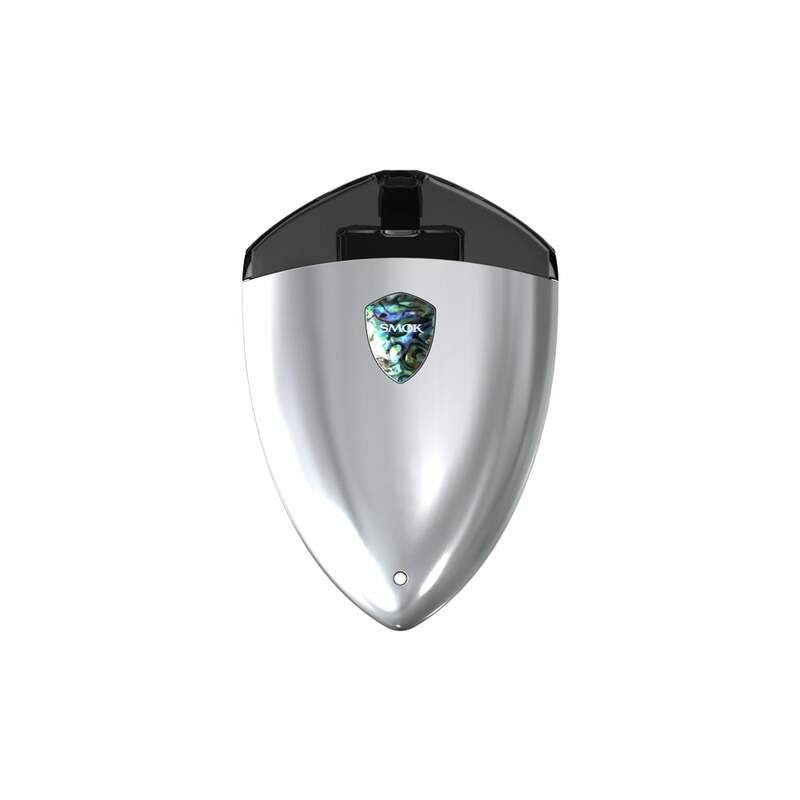 Its simple, draw-activated design and smooth inhale make it a great kit for beginners or for more experienced vapers looking for a portable pod-style vape kit. I am on the fence with these. I've purchased three and use them as backups. They are really great for stealth vaping but they don't seem to last an airplane ride...Meaning, after I fly with them, they stop working. I would recommend the Infinix over these, but it has a looser draw that I prefer anyway. It's ok...not my favorite. Very tight draw. Easy to refill pods, doesn't leak. Nice colors but scratches very easily. I use this one as a spare. Get the Novo instead...it's much better !! It's OK. I have all three in the smok pod series. This definitely is the last on my list. It just doesn't pull like the infinix or fit. I haven't had any leaking issues like I had with the fit. But the draw on the rolo badge just doesn't satisfy. Very weak. I however love the infinix so if you are wondering between the three. I would definitely recommend the infinix. Very nice device, tight pull and very comfortable in the hand, pods are easy to refill and do not burn in about 2 weeks time , love the device and would reccomend it to others.